Start taking classes at Everlast Lab and other studios! This class is a combination of boxing and kettlebells. You can expect a high intensity workout, weights will be included. The mixture of boxing and kettlebells is perfect for someone who wants to box and preform strength work. The class will include a warm up into kettlebell movements while incorporating boxing techniques. All fitness levels welcome! There are no upcoming “Box & Bells” classes on this day. For Fight Sport Classes, students may bring their own boxing gear for the fight sports intensive classes, or they may borrow a pair of gloves and wraps from the gym. For yoga, students should bring their own mats. 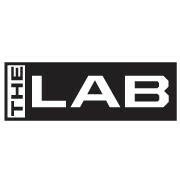 There is also gear available for purchase at The Lab. Jess is such a good teacher! Jess is a great instructor. Good class. Too many people to jump rope though in the small room. First time taking the box and bells class and feeling really good. Jeff is a great instructor and I hope to come back more often. Definitely the kind of work out I was looking for!